Selling investment property Commerce City is, in many ways, similar to selling your house, but as we all know, an investment property is something meant to make money. If you are looking for steps to selling investment property Commerce City, the possible motive behind your decision to sell would be to maximize the profits. To get the best, you need to get a top-notch listing agent to market your property to the right audience, negotiate with potential buyers on your behalf and help you close the deal in the shortest time possible. However, since a residential home and investment property are quite different, they have different tax rules. As a result, you also need to get advice from a professional accountant or attorney regarding the legal part of selling investment property. As pointed out earlier, the sole purpose of owning investment property is to make money. When one decides to sell such a property, they are definitely looking to maximize the profits, but before making the decision to sell, there are a few questions you need to ask yourself. Is selling investment property in Commerce City a wise choice? First things first: Before you sell, are you positive that this is the right decision for you? The obvious objective this question is to inform you that there is more than one way of maximizing profits, among them renting it out for a steady income. So, unless you have a very good reason for selling investment property, you shouldn’t really sell. Still, there can be very good reasons for selling investment property in Commerce City and if yours is among these, you do have the right to sell your property as fast as possible. Neighborhoods can change and if yours is experiencing some positive changes where people are hunting for investment properties and are willing to pay top dollar, well, why not, especially if you have already made a good fortune out of the property? This is where you need to take the money and run – and so is the case where the neighborhood is experiencing some negative changes. Maybe your property is in a neighborhood that is experiencing sharp price drops. Rather than wait for the prices to drop even further, you can choose to cash in and move out while there’s still a chance to make some money out of selling the property. Does the investment property in question require massive repairs that you cannot afford? Is the property wrecked beyond repair? If your property needs a lot of money to put it back in order, maybe a complete roof overhaul, and you can’t afford it, there’s no better reason to sell. However, note that you will have to point out these issues to the potential buyer, who will, in turn, factor them in when choosing what to pay for the property. Has the investment property become a tax liability? If yes, it’s about time you moved on. Owning investment property comes with extra taxes, adding up to your usual tax bill. If you don’t really feel like being a landlord, this is the time to sell. What are your options, if any? Of course, there is always an option and it’s important that you consider all of them before deciding to sell investment property Commerce City. The good thing about property is that it rarely depreciates in value; instead, the opposite is quite the truth. If your property has increased in value over the years, you may choose to sell and diversify or even get into multifamily homes. Anyone selling investment property Commerce City always asks themselves who their potential buyers are. When selling a house, it’s easy to assume that individual buyers will be the major target. 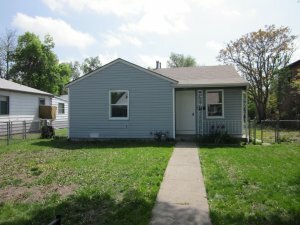 Even though it’s possible to come across individuals who are into buying investment properties, your best shot of selling investment property here in Commerce City is Denver Property Flip. We are a real estate investment company and our specialty is buying houses and any other real estate property for cash. By cash, we mean that you’ll have the money in your bank account after just 5 days. Call us now on (720) 370-9595.